Please e​nter through Auditorium Porch on the East (Railyard Park) side of the building. 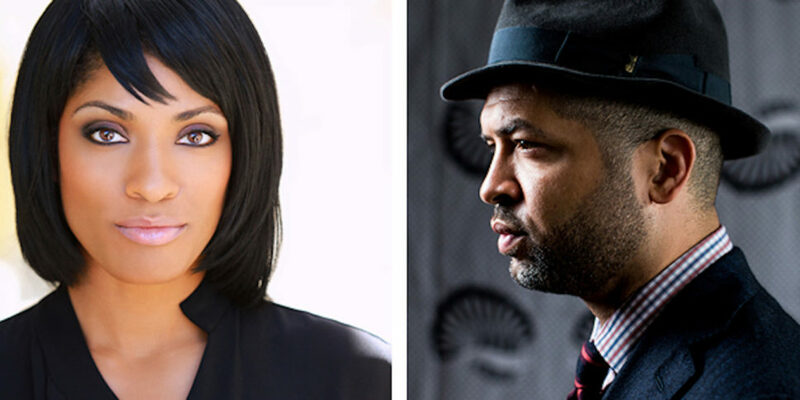 A staged concert created by mezzo soprano Alicia Hall Moran in collaboration with her husband, jazz pianist Jason Moran, Black Wall Street is a personal-historical take on the Tulsa race riot of 1921 and depicts a history of Black American finance in New York City and beyond. The story unearths tangled roots of family, finance, legacy, violence, destruction, greed, and rebirth in a musical landscape that spans the genres (opera, art, and theater) of Ms. Moran’s “transcendent” voice. A MacArthur Fellow and Artistic Director for Jazz at The John F. Kennedy Center for the Performing Arts, Jason Moran was recently called one of the “most provocative thinkers in current jazz” by Rolling Stone magazine. Featured at this presentation will be Alicia Hall Moran, vocalist; Jason Moran, piano; Brandon Ross, guitar; Thomas Flippin, guitar; and Gene Alexander Peters, narrator + archivist.